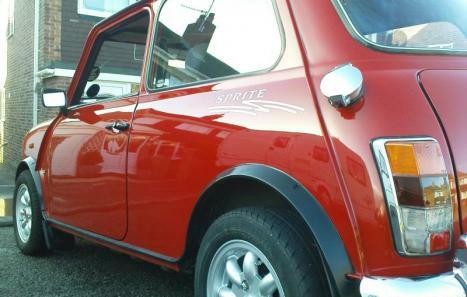 You are viewing my 1995 Rover Mini Sprite 1.3i in Rover flame red with a white roof. This car has had two owners from new, I have owned the car since September 2002. 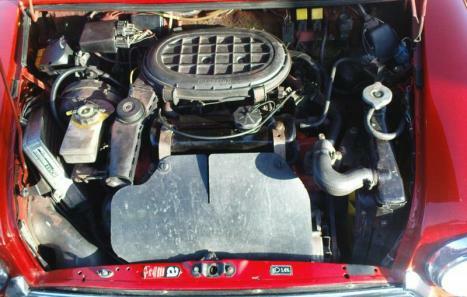 The car has 78k on the clock and is used frequently. It comes with two months tax and M.O.T. Since I have owned the vehicle I have replaced the rubber engine bushes for the polytene super flex bushes, the clutch, throttle cable, radiator and fan, alternator, heater matrix, engine management unit and I have had a centre exit stainless steel exhaust fitted including new catalytic converter link pipes and manifold down pipe. The car also comes with 12" minilite alloys, r/cl/ and thatcham cat 1 alarm/immobiliser. 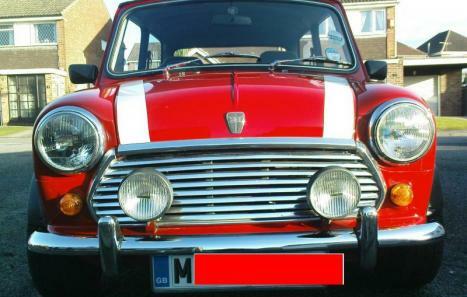 A chrome grille, chrome winder wiper set, chrome number plate surrounds, aston filler cap, white bonnet stripes, chrome over riders and chrome door sills along with a Kenwood CD multichanger and an additional rear fog lamp with two front fog lights and front and rear mud flaps have also been added. 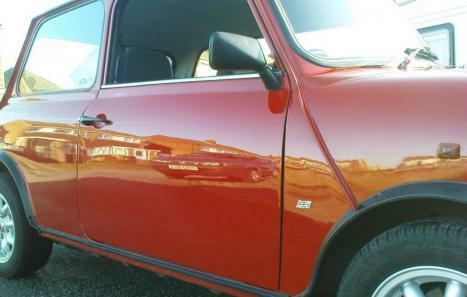 As you can see from the pictures the body work is in excellent condition- no rust under headlamps or on the scuttle as usually found on minis, however there is a bit of rust on the edge of the passenger door. You need to view to believe it yourself! The underneath and arches were stone guarded in black to protect from rust in Feb 08. The engines runs smoothly with no knocks or noises and is serviced thoroughly every year with an oil change, spark plugs, air filter, fuel filter changed in Apr 2008. Within the last few years shock absorbers front and back, rear break cylinders, front brake discs have been replaced. The vehicle also comes with lots and lots of spares: 4 steel wheels, 2 new tyres, rear brake pads, chrome bullet mirrors, chrome boot lamp and much more including drivers and passenger side doors.